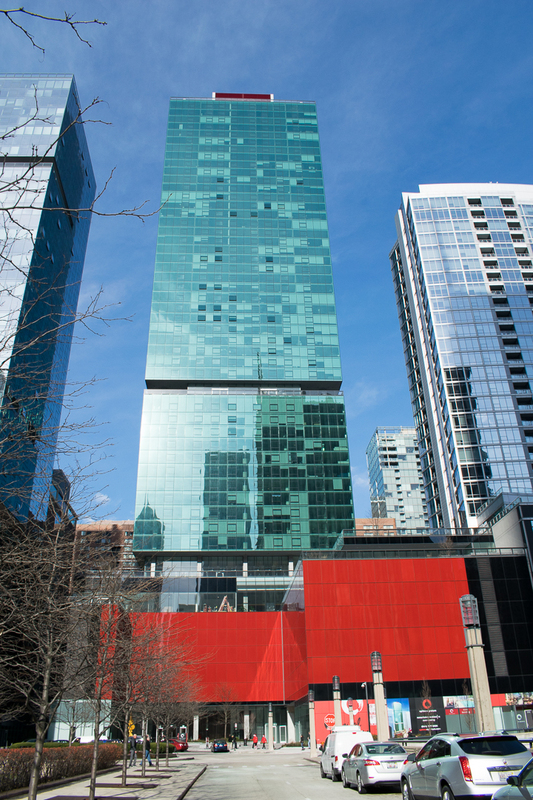 Optima Signature is a 55-story mixed-use building located at 220 East Illinois. The project incorporates retail, parking, office, residential, amenities, and mechanical elements. Concrete Structures was responsible for the structural design/build component of the development. Construction of the downtown project incorporated a 4½ story temporary wind screen around the entire perimeter that moved up with the typical four-day construction cycle. The project was successfully accelerated to deliver an early occupancy, thus providing a major advantage to our client prior to the start of a very competitive rental market.